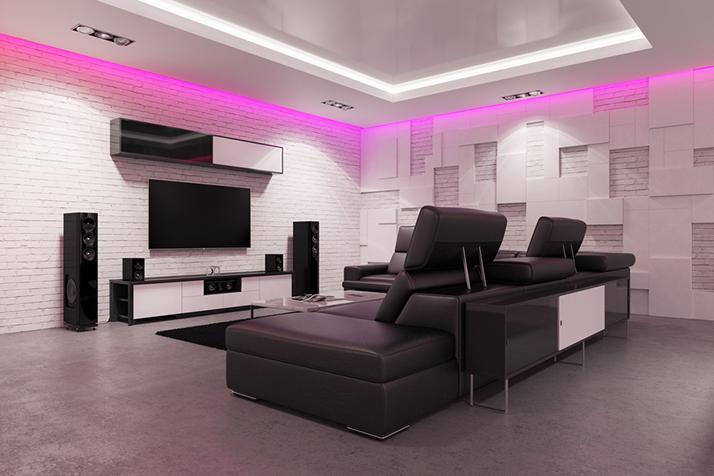 Installing a home audio system may seem like a simple matter, but it takes time to get the most out of it. If you're disappointed with your sound, here are some things you can do to help your home audio system sound better. Many people think that they need brand new cables when they buy a new home audio system. While that might help if you don't have any cables or the ones you have are old and damaged, it's rare for audio cables to degrade in time. If you're not getting a good signal between your system's various components, your problem might actually be the jacks you're using to extend the length of your cables. This can weaken the signal and cause your audio quality to degrade. Instead of rushing out to buy new cables, work with the ones you have. Reconfigure your system to shorten the distance between your components so that you can connect them directly to where they need to go with only your shorter cables. Of course, if the cables you have are worn and frayed, by all means go out and buy new ones. At that point, your cables are a safety hazard and should be replaced. An equalizer allows you to alter the sound that comes out of your speakers. For example, if a song has so much bass that it sounds muddy or is overpowering the rest of the song, simply lower the intensity of the bass with your equalizer and turn up another frequency to get a better balance. If you listen to different kinds of music, you will need to adjust your equalizer regularly if you want the best possible listening experience. If that seems like too much work, you can always invest in a second equalizer. Fortunately, these are pretty inexpensive. You can even find an app for your smartphone that you can use with your home audio system via a Bluetooth connection. Just search for the appropriate apps for your phone, whether that is an iPhone or an Android. Each speaker broadcasts sound in one direction, so align your speakers so that you are getting sound from all directions. This will take some experimenting on your part, but it's amazing how much this can affect the sound of your home audio system. For an even greater effect, hook your speakers to a crossover box. This will separate the sounds that come out of the speakers so that some will broadcast deeper sounds while others will broadcast higher sounds. Once again, experiment with your setup to get the most out of it. For more information about how to properly set up your home audio system and to get the most out of it, contact us and we’ll help you out!